After a rough morning of attic excavation, I thought I'd reward myself with a treat from the grill. While I am a fan of the traditional hamburger, I also don't like to make a habit of eating too much red meat. The Holy Cow! 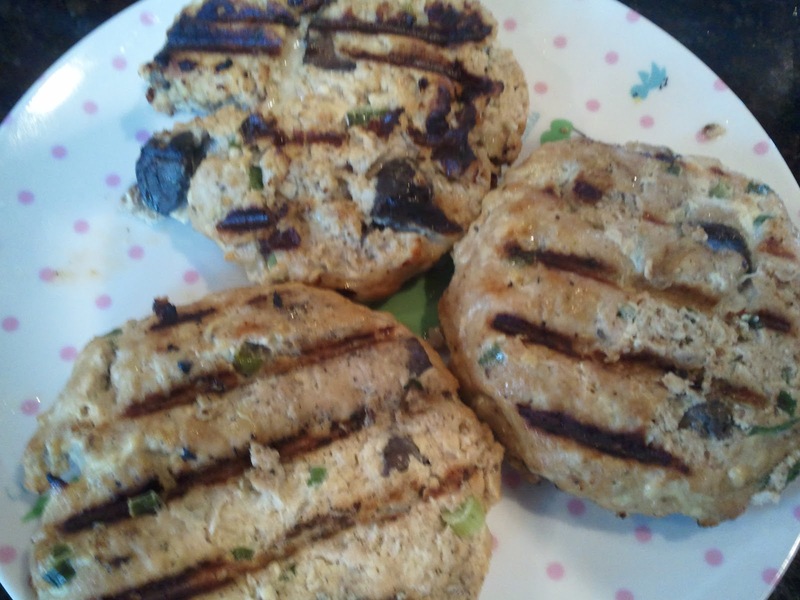 Turkey Burger will be just as flavorful if seasoned and cooked properly. The biggest problem with turkey burgers is they don't hold together well on the grill. I had some problems with this in the past and there are various sites on the internet to help you out. Some recommend adding bread crumbs or corn meal. I just rely on the eggs and the olive oil, and I put the formed patties in the freezer for 30-40 minutes to let them hold. That's why it's important not to go any leaner than 90/10. Fat is important. Just because you're eating turkey instead of beef doesn't mean you're eliminating fat, it's just a healthier lifestyle choice especially if you like burgers. If you're really, really concerned about upsetting the grill police, they won't sanction you for putting down a single layer of tin foil. Or just throw them on the grill and throw caution into the wind. As you can see, they aren't perfectly designed - but they are delicious!